Paula Creamer (born 5 August 1986 in Mountain View, California), is an American professional golfer. She plats on the LPGA Tour, winning 10 tournaments. 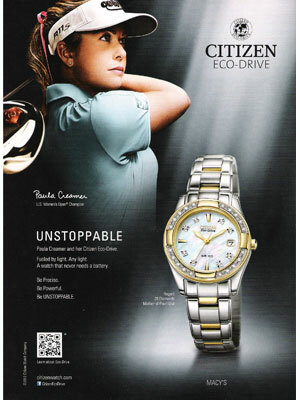 Paula Creamer endorsements include TaylorMade-adidas, Citizen Watch, NEC, and the Royal Bank of Scotland Group.